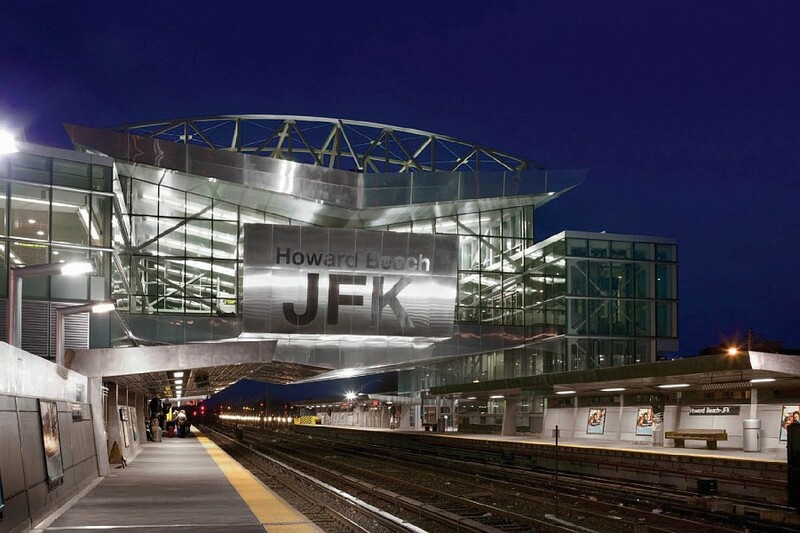 The Howard Beach subway station is part of the JFK light rail system, connecting to the new A-line subway station and offering passengers transportation to the John F. Kennedy Airport. 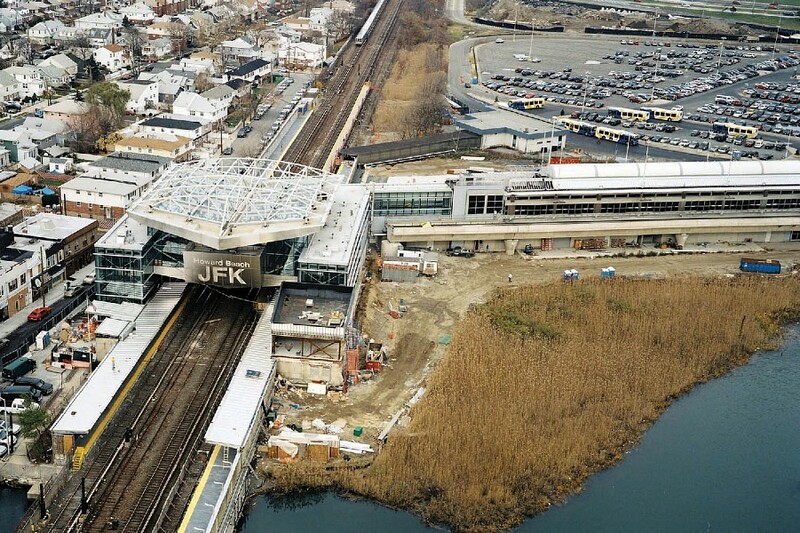 The old subway station was largely demolished to make way for the new station and light rail connection, with the existing signal tower renovated to give a seamless visual appearance to the project. 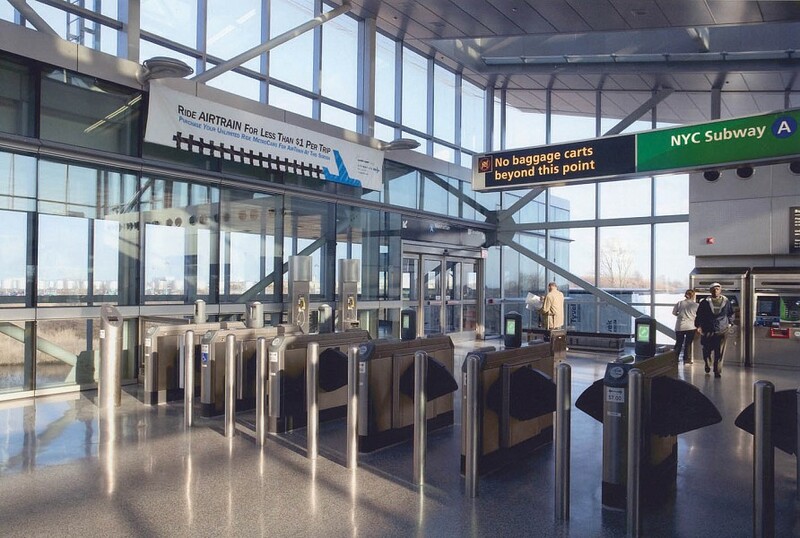 A close working relationship with the New York City Transit Authority was maintained to ensure that all of the requirements and concerns were met. 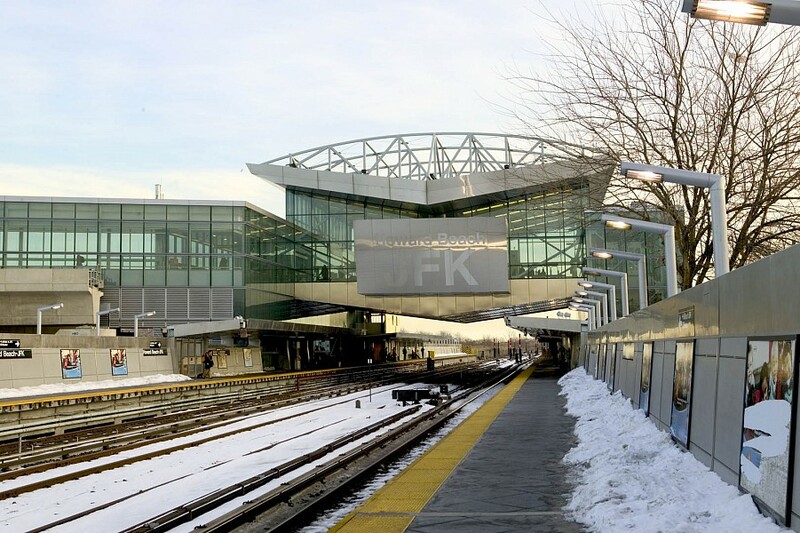 Exposed tubular steel is used extensively throughout the new station, culminating in 100 foot long steel roof trusses that suspend the station over the subway tracks. Particular attention was paid to exposed structural connections to achieve aesthetically pleasing joints. One of the challenges of this building was the architect’s desire for the floors to be recessed away from the building perimeter. This created a sense that the floors merely “floated” within their glass enclosure. 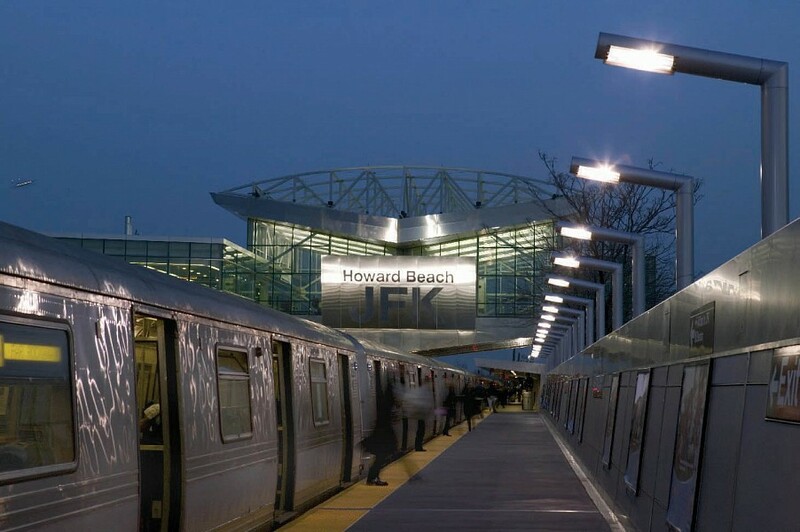 A variety of structural steel systems were employed to form the new Howard Beach subway station. Composite concrete slab and metal deck over steel framing was typically used for floor construction, supporting the mezzanine floor across the 80 foot track width. The roof trusses also lend support to the mezzanine floor, and allow the structural steel roof framing to hang across the full width of the subway tracks. Hollow structural steel sections are used to form the trusses, and are also used extensively for architecturally exposed column elements. The building’s lateral system consists of a variety of braced frames. Steel pipe sections as well as pre-tensioned steel rods were used throughout the building, and are an integral part of the building’s aesthetics. Also prominent throughout the structure’s perimeter, are tubular beams that are used to support the glass curtain wall and provide lateral stability.